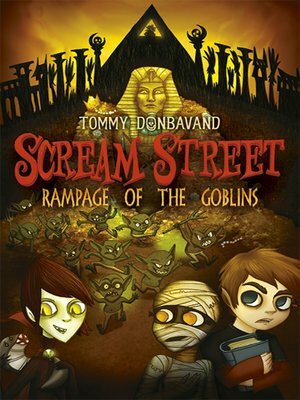 Life on Scream Street is becoming unbearable, and Luke, Resus, and Cleo must speed up their quest to save the street. Destination number three: Egypt, land of the pharaohs. The trio's troubles, however, appear to be following them. With a shoal of vicious scaremaids to deal with and an ancient curse looming, there's only one thing that could make things worse . . . those pesky goblins!